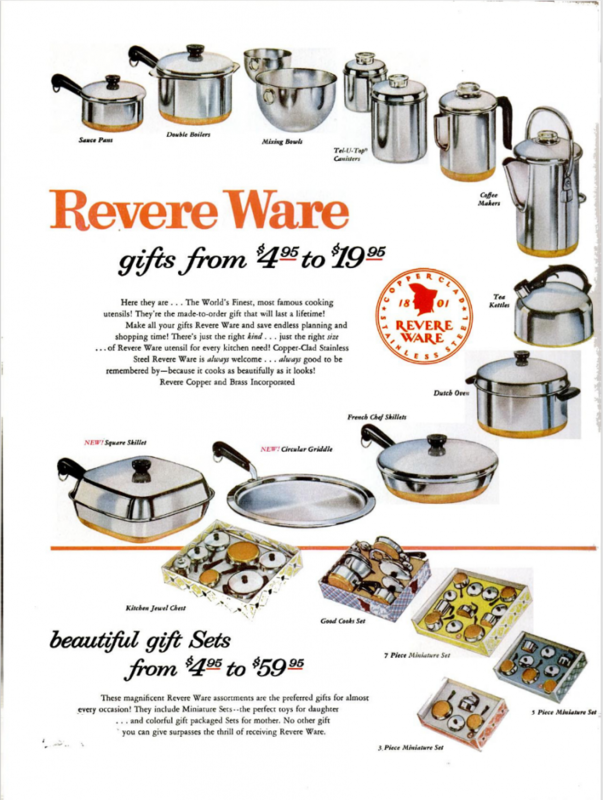 This advertisement from Life Magazine in 1956 does a good job at characterizing the Revere Ware era, when it was most popular and extremely well made, and it contains some of my favorite pieces, including the domed Dutch Oven, the classic tea kettle, the coffer percolator, the square skillet, and the griddle. You website is amazing, thank you! I found this page with more ads.